Located by the side of the road out of Fowey in rather arbitrary surroundings is a 8 ft (2.6m) tall inscribed stone. 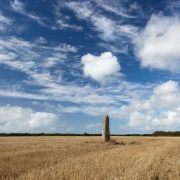 Legend has it that this monolith once marked the grave of Tristan, the nephew of King Mark of Cornwall. The plinth upon which it is set is not original. The story of Tristan and Iseult is a complex tragedy and whilst any links the stone has to the tale are fairly tenuous, they do exist. 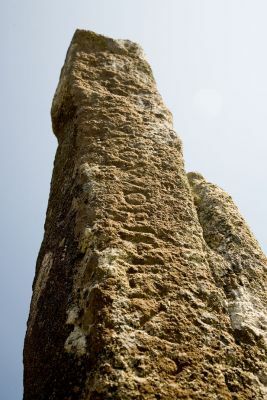 The stone has two inscriptions; a "T" shape, which is believed to be an early form of Christian cross, and some faint Latin text. The latter reads 'DRUSTANS HIC IACET CUNOMORI FILIUS', which means "Here lies Drustanus, the son of Cunomorus". This inscription is believed to be 6th century in origin. 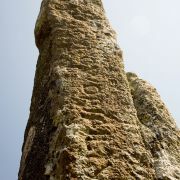 One plausible interpretation of the inscription is based on 'Drustanus' being an old version of the name Tristan. 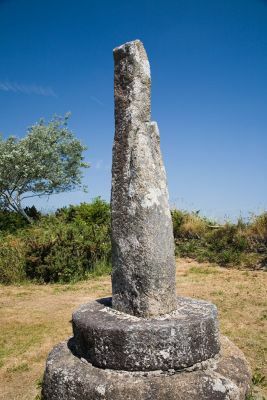 Furthermore there is historical mention of a Marcus (Mark), also named Qunonomorius (Cunomorus) who ruled over the Cornish and Breton nations. However, this could all be rather fanciful. 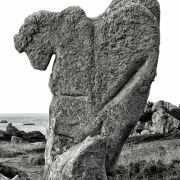 According to William Borlase in his 1769 Antiquities of the County of Cornwall, the inscription read 'CIRVSIVS HIC IACIT CUNOWORI FILIVS' which seems less supportive of the link to the legendary Tristan. 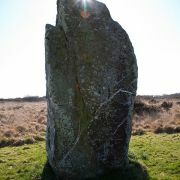 Over the centuries the Tristan Stone has been moved on a number of occasions. 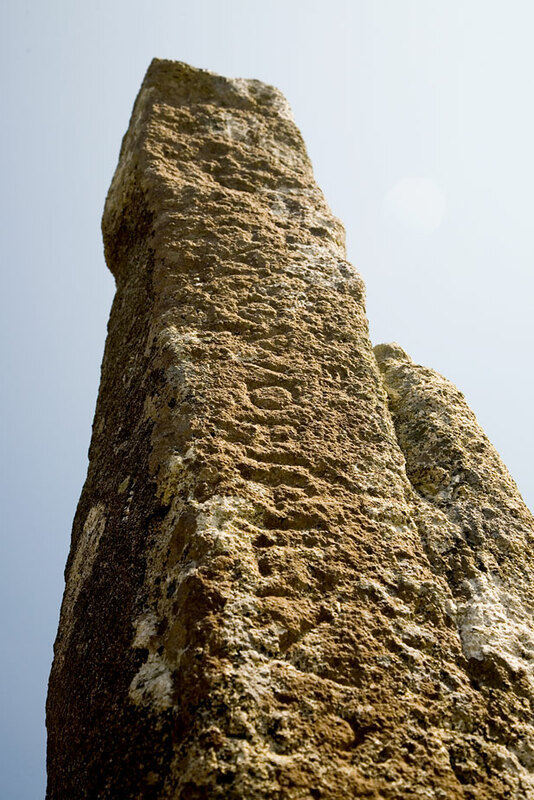 The earliest records in the 16th century have it as located closer to Castle Dore (which was the site of King Mark's stronghold). 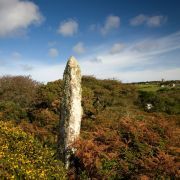 Over the next couple of hundred years the stone was moved over a mile closer to Fowey. 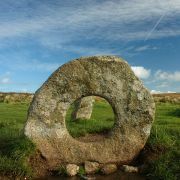 But the stone's travels were not over; it was again moved in 1971 and there is now talk of moving the stone to make way for a housing estate.